Pro Wash, LLC is a family owned and operated business that provides the highest quality pressure washing services to all of Nashville and Middle Tennessee. After realizing the growing need for a structured and professional exterior cleaning service, Pro Wash, LLC was founded by C.J. and Amy Pierce in 2011. Both C.J. and Amy are lifelong residents of the greater Nashville area, and have a keen knowledge of the areas geography and climate which play a direct role in what exactly it is that we are cleaning from surfaces. In today’s service business market, it is all too common for entities to overpromise and under deliver the services they perform. This is where Pro Wash, LLC stands out from the competition. 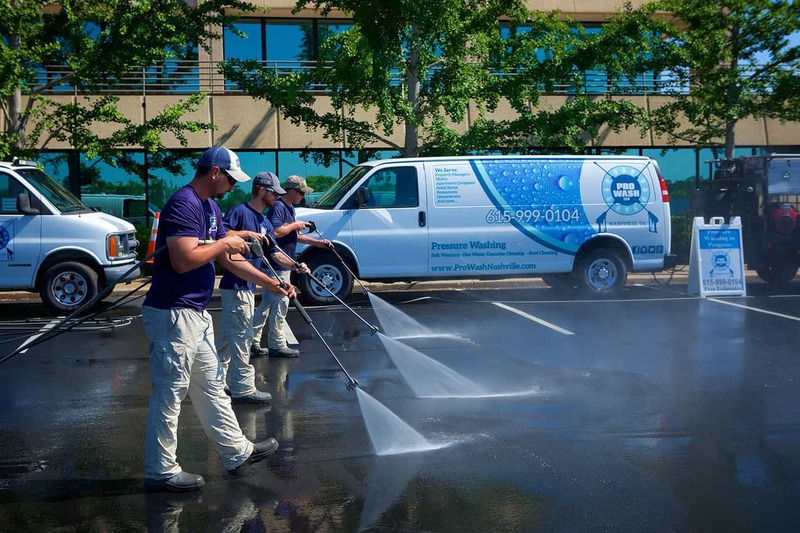 Not only have we become one of the most experienced pressure washing contractors in the southeast United States, we also set the standard within the exterior cleaning industry for professionalism, customer service, training, equipment and consulting. Our company’s substantial growth during past years can be accredited to its clear vision for the future and its dedicated team members, whom have executed that vision with surgical precision.